Based on the true story of how Charles Dickens (Dan Stevens) wrote and published his beloved tale A Christmas Carol in a matter of weeks, helped along by visions of Ebenezer Scrooge (Christopher Plummer) and his other characters, The Man Who Invented Christmas finds the sweet spot between being a biopic and a new take on the classic story. The film is now available on Blu-ray. As someone who has always loved the story of A Christmas Carol, I really enjoyed The Man Who Invented Christmas, and it deserves to find more of an audience on Blu-ray. This is a playful and well acted film that provides an inventive look at the writing process, and I already look forward to watching it again around the holidays. For more on the film itself, you can read my full review right here. 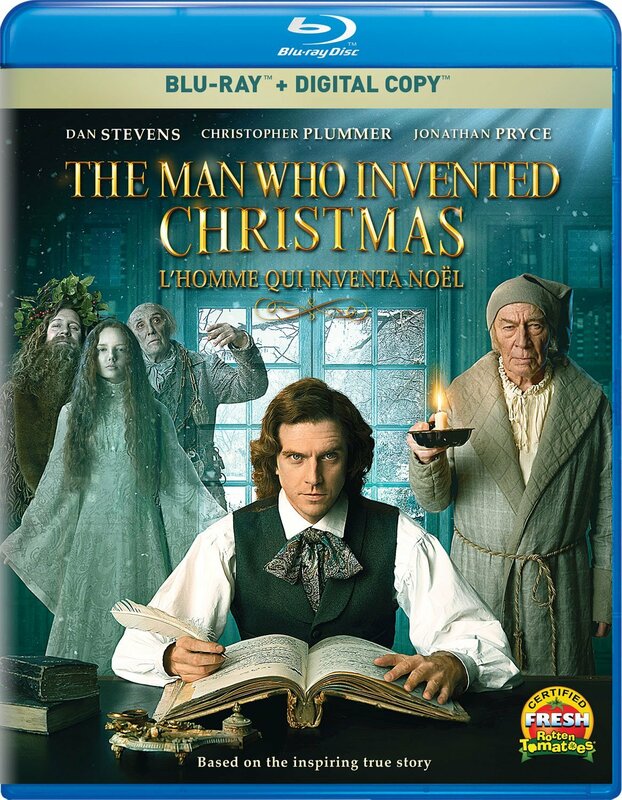 The Blu-ray also includes the short featurette The Story Behind The Man Who Invented Christmas. The Man Who Invented Christmas is an Elevation Pictures release. It’s 104 minutes and rated PG.